Short messaging service is exactly what it sounds like. 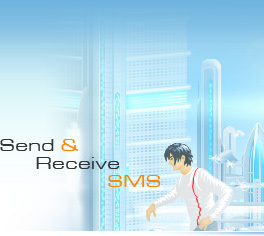 It is a text message sent or received to or from a mobile phone. SMS was introduced in the GSM system and later supported by all other digital-based mobile communications systems all around the world. The text messages are up to 160 characters in English alphabetic and 70 characters in non English alphabetic, and if a phone is out of coverage or turned off, the network holds the message until the phone comes back to service. Using SMS is easy. A person types a message on a phone (some phones have special dictionaries that make typing easier), specifies who is going to get the message, and sends it.